I’ll wait for the news reports to come in before formulating my own opinion, but the tweets from Neil Williamson, of the Free Enterprise Forum, from today were interesting. Update: Sean Tubbs with Charlottesville Tomorrow has more. Short question – would you be willing to pay more taxes to fund infrastructure improvements in Crozet? Such as the Lickinghole Creek bridge/connector from Westhall to 250? @cvillenewscom @CrozetGazette @cvilletomorrow excellent point would take VA state legislature to make that even possible @Steve_Landes ? @Crozetwx @CrozetGazette @cvilletomorrow @Steve_Landes Yes. If Crozet's Delegate & Senator patroned the bill, it would pass. What would Crozet’s budget look like if we were a town? Important note – When people refer to Crozet as a “town,” they are wrong. *This is why permanent URLs are important. I’m looking at you, Daily Progress and Albemarle County, the websites of the dead links. 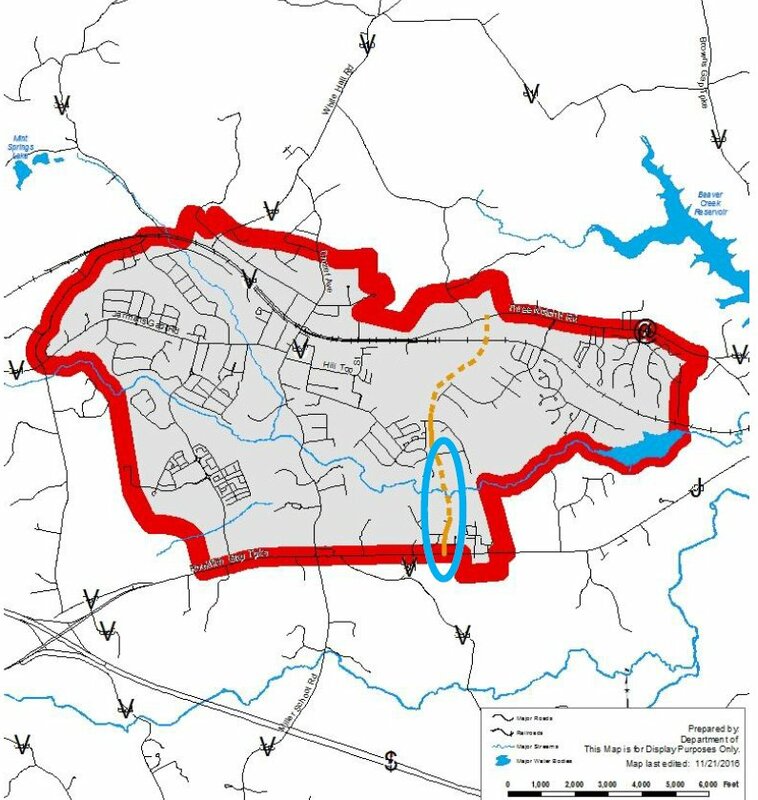 I would rather see a township of Crozet but would be willing to add to my taxes to support the route to 250. This is going to be interesting. Personally, I wouldn’t mind the extra property tax to pay for local improvements. However, what I’ve found is that the public as a whole has a different opinion when they hear the words, “tax increase.” Using the term “Super Tax” will probably make any backlash even worse. Even though you can explain to people that (as you illustrated above) the annual increase for a median-valued home would be fairly minuscule ($56-$98 a year, about what a family of 5 that lives in a $350,000 home would spend for one dinner out at a local restaurant), for some reason people overwhelmingly balk at any tax increase. It’s just the way it seems to be. What really intrigues me is if this idea could be applied to schools. For example, could the tax be used to make much needed improvements to WAHS? In this case it sounds like it would be more for infrastructure improvements, but the pros and cons of using it for things like school improvements would be very interesting…and very controversial I would imagine. Anyway, thanks for sharing. Much appreciated. As long as the $100 supports improvements locally (22932), yes please. In a heartbeat. Upon further thought I feel the question should be should Crozet be turned in to an Urban area? And, who should decide this?? If, as many have claimed, you love Crozet now, what will an Urban, concrete covered Crozet do for you in the future?? ?